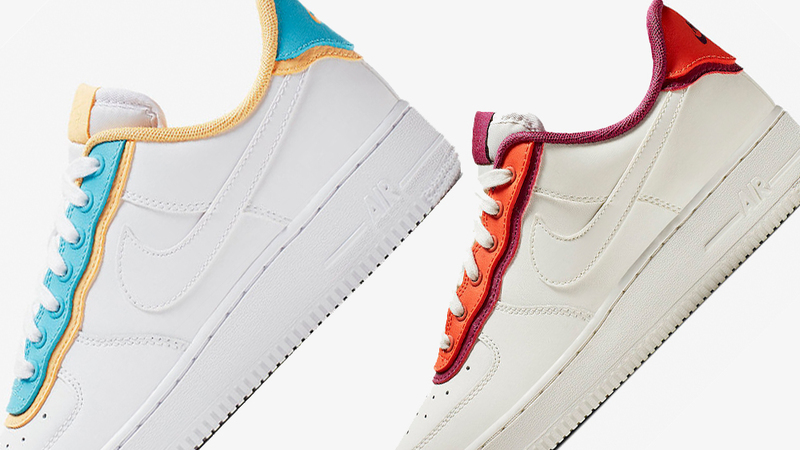 Whether you’re a die hard Nike Air Force 1 fan or just an admirer of the silhouette, you will know the extensive amount of colourways, textures and panelling details that have graced its walls over the years. 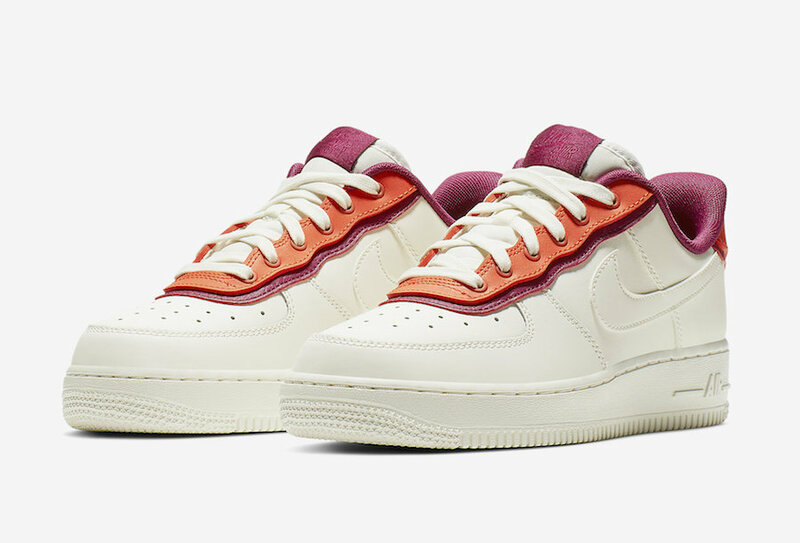 SS19 brings this Nike silhouette an exciting and fresh new look, bringing the heat. One comes in white with blue and yellow panels, while the other comes in a sail, complemented with vintage burgundy and orange. 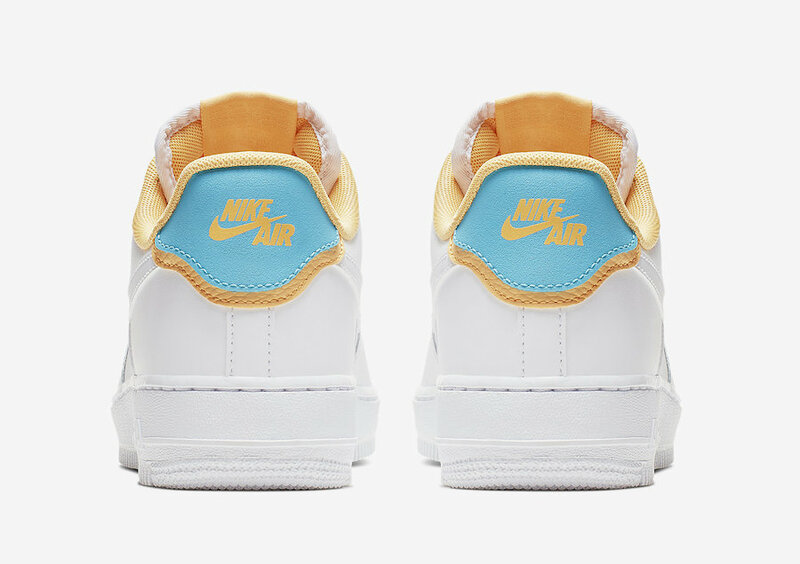 The White/Blue/Yellow colourway comes with white leather covering the basketball classic, with pops of colour around the lace unit. Blue and yellow together are seen as a playful and uplifting combination, instantly bringing the viewer into a summery headspace. Pair with your denim shirts and a white tee this Summer for the ultimate laid back look. 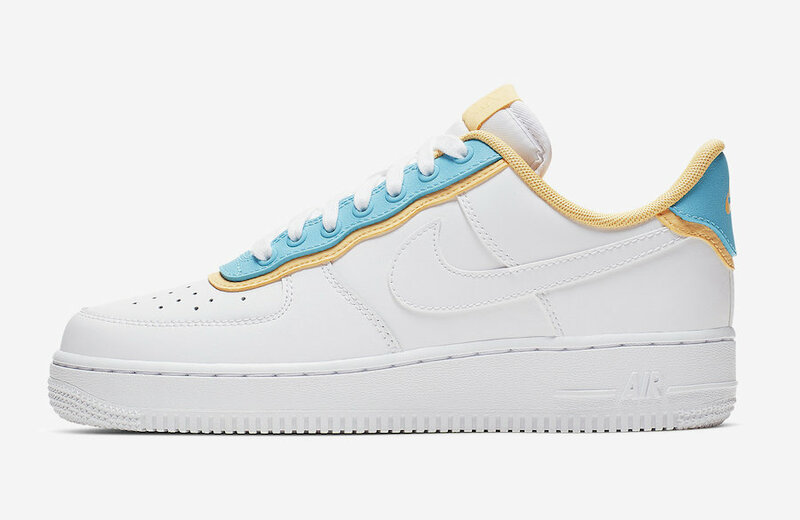 Completed with a yellow tab to the tongue, as well as yellow and blue panels to the heel, upon which a yellow Nike Air branded stamp can be found. The rest of the silhouette comes with the usual perforation, side Swooshes and Air encapsulated midsole below foot for your comfort. 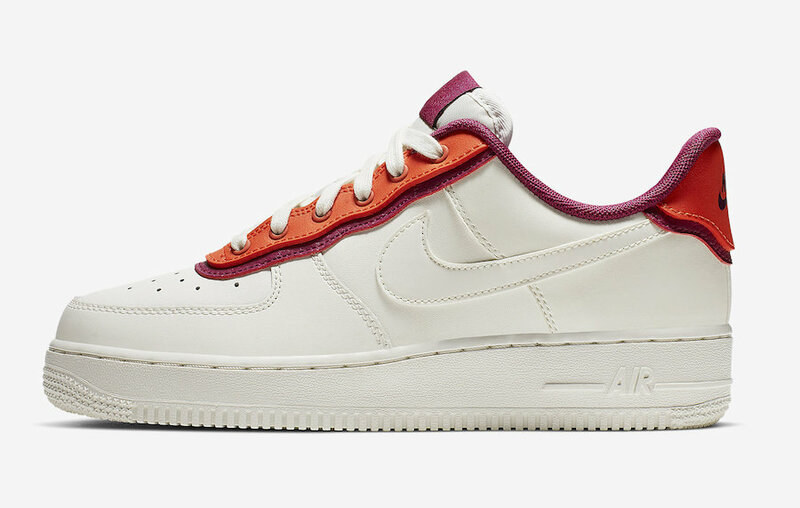 The Sail/Orange/Burgundy colourway comes in the same format, with Sail colouring dressing the upper and midsole sections. Moving up towards the centre, burgundy panels are layered over with orange, outlining the lace unit. Followed up by a burgundy panel on the tongue, a burgundy padded inner for cushioning. 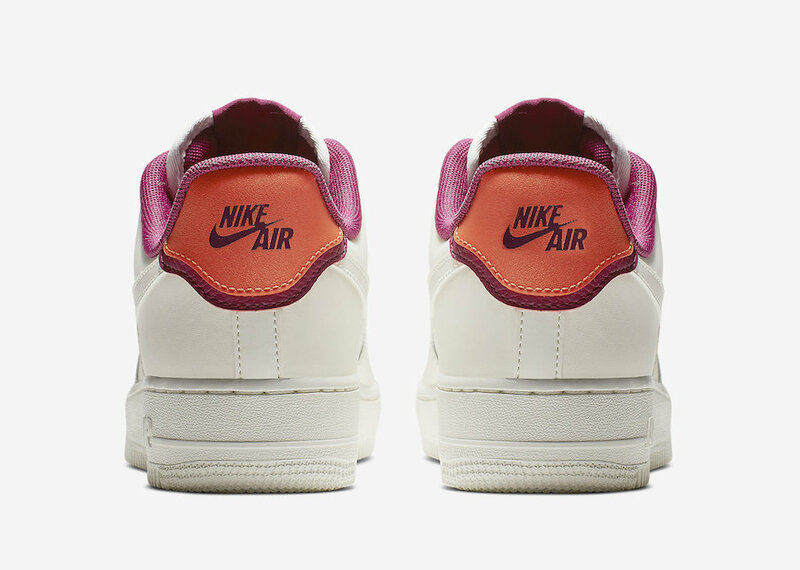 Finally, the heel shows off the same panelling, with an orange heel feature displaying stamped Nike Air branding, completing the colourway. 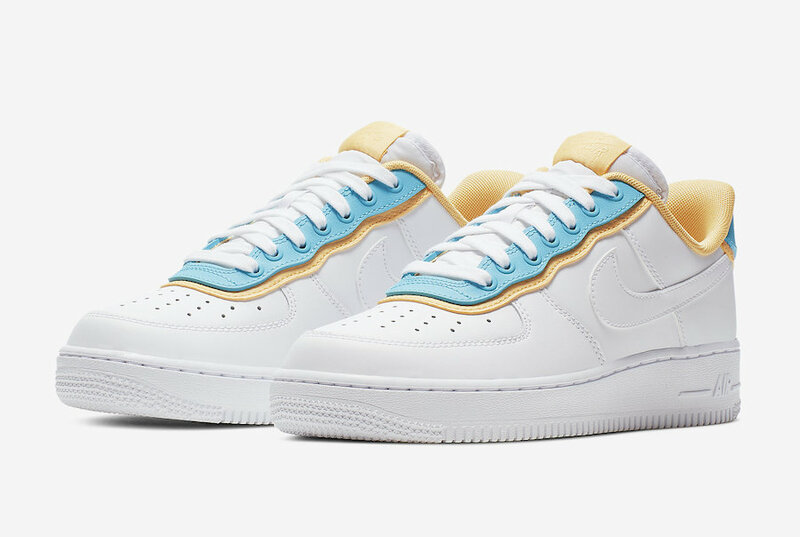 Be sure to stay tuned to The Sole Womens for all further information on the Nike Air Force 1 Low Layered and their release.